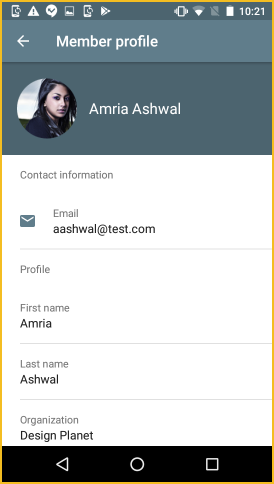 The ISST Members App requires Android version 5.1 or later. What can you do with the ISST Member App? 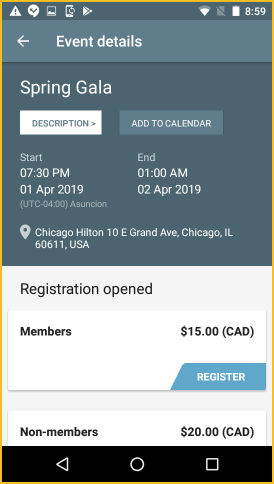 What can't you do with the ISST Member App? To download the ISST Wild Apricot Member App for Android, tap here. 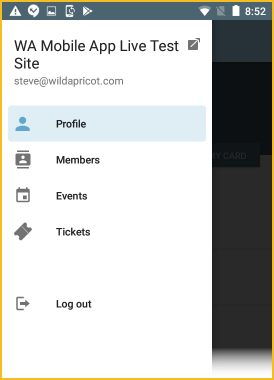 The ISST Member App can consist of the following modules: Profile, Members, Events, Tickets. When you first log in. to the app, you are taken to the Profile module. To log out of the ISST Member App, you tap Log out. You can view your member profile by tapping Profile from the main menu. 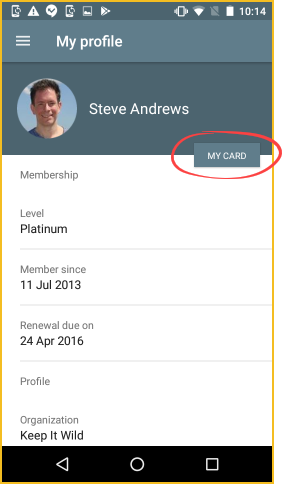 From your member profile, you can view your membership card by tapping My card. You can view your member directory by tapping Members from the main menu. 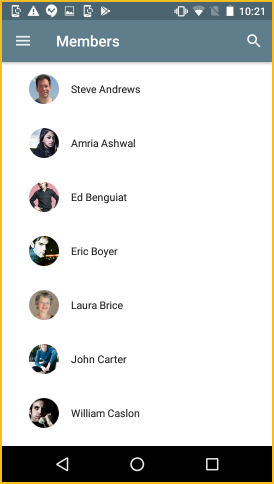 In version 1 of the ISST Member App for Android, pictures do not appear for members on the directory, but do appear on individual member profiles. Members who have set their profiles to private within their privacy settings will not appear. 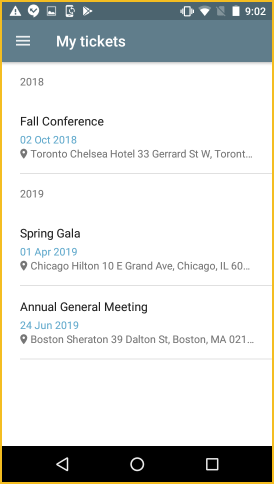 You can view an event calendar showing upcoming events by tapping Events within the main menu. 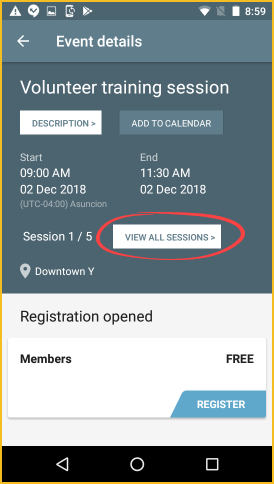 You can register for the event by tapping the Register button beside the appropriate registration type. The registration form will appear, along with options to specify the number of guests. Once you complete the registration form and tap Continue, your payment options will appear.You will see pay using PayPal online buttons. 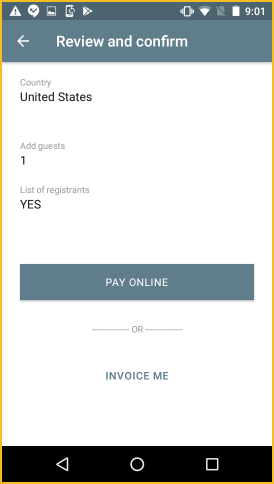 Once you click a payment option and complete your registration, your registration will appear within their Tickets module. 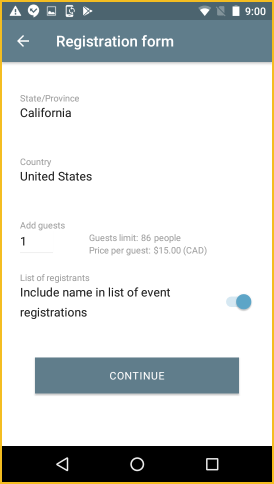 You can view their existing event registrations by tapping Tickets within the main menu. 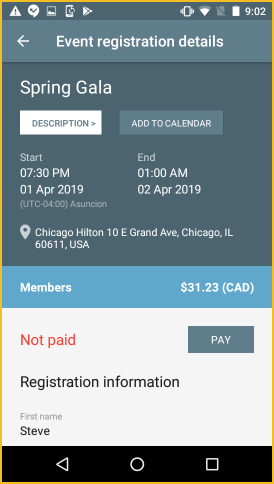 For instructions on using the Android version of the ISST Member app, click here.